PROJECT DESCRIPTION : A straightforward project, keeping the existing footprint. 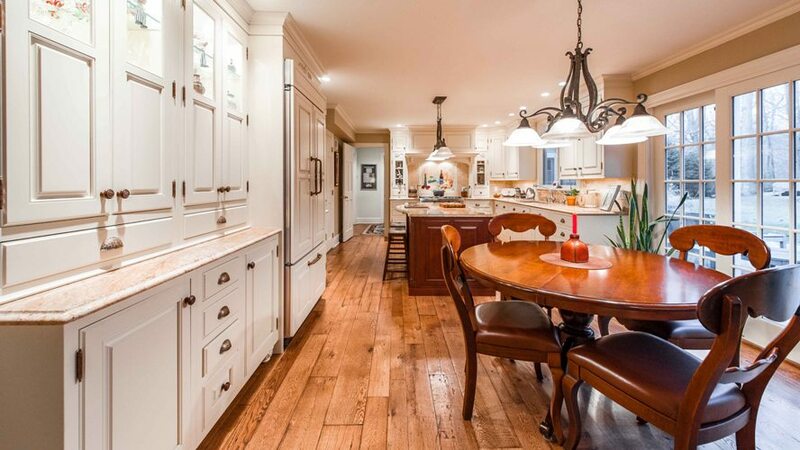 One of a few unique features of this kitchen is the flooring which is the reclaimed wide plank white oak. 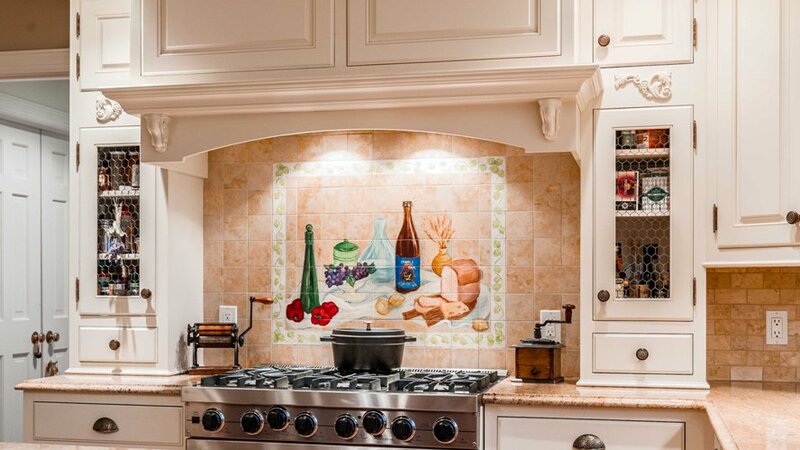 More impressive is the custom paintwork by local artist Jessica Ruzzuti on the tiled backsplash above the range. 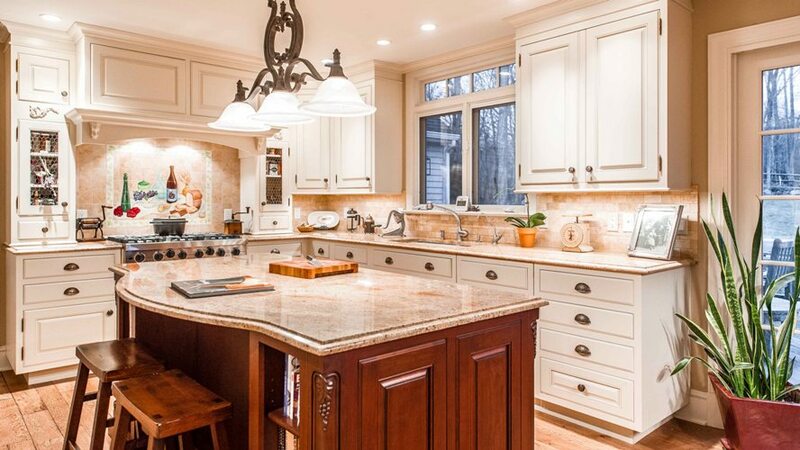 We just wanted to take the time to tell you how happy we are with our kitchen renovation. 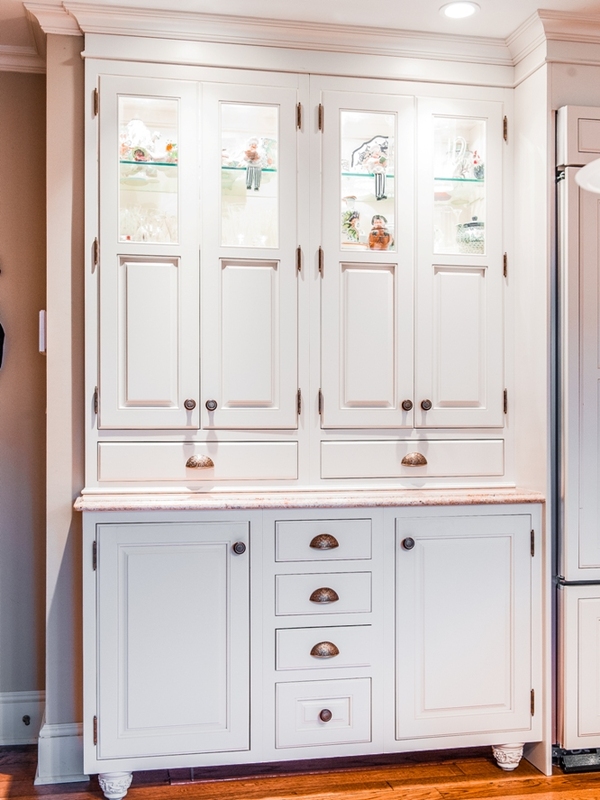 After hearing such horror stories from friends who have had their kitchens redone and the length of time they were without a kitchen, we were a little anxious to even begin this project in the fall. Our project began in early November, and it was complete in time to cook for Christmas dinner! You have taken the time to find specialists in every field that are courteous, prompt, neat, and proficient. I wanted to make a special note to thank your #1 man on the job, Jon, jack of all trades, for his expertise and fine carpentry skills to turn our floor into the masterpiece that we now have. Many thanks,"
"Sylvain began remodeling my kitchen in the end of October. My kitchen was totally gutted, appliances, cabinets, and floors were removed and replaced. We began this project the last week of October and we served Christmas dinner in my completed kitchen. Sylvain has a crew of talented, professionals who work with great precision. I have a beautiful 'Tuscan Kitchen'."